Moist to wet forests and thickets, wet open depressions and wet fields and ditches. In Carex squarrosa, perigynium beaks radiate in all directions, i.e., the lowermost perigynia have beaks that point downward, perigynia in the middle of the spike have beaks that point outward, and perigynia at the apex have their beaks pointing upward. 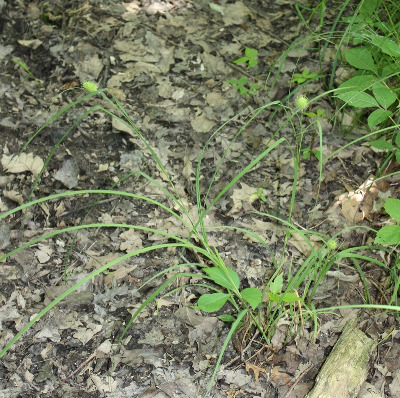 In the very similar Carex typhina, even the lowest perigynium beaks point outward or upwards. MICHIGAN FLORA ONLINE. A. A. Reznicek, E. G. Voss, & B. S. Walters. February 2011. University of Michigan. Web. 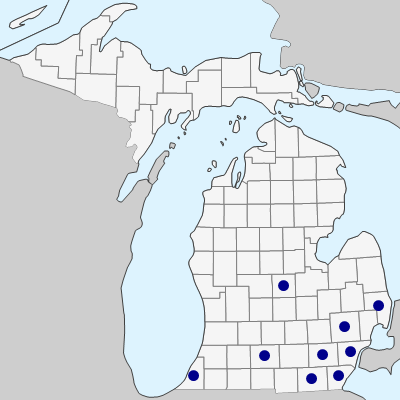 April 19, 2019. https://michiganflora.net/species.aspx?id=1053.